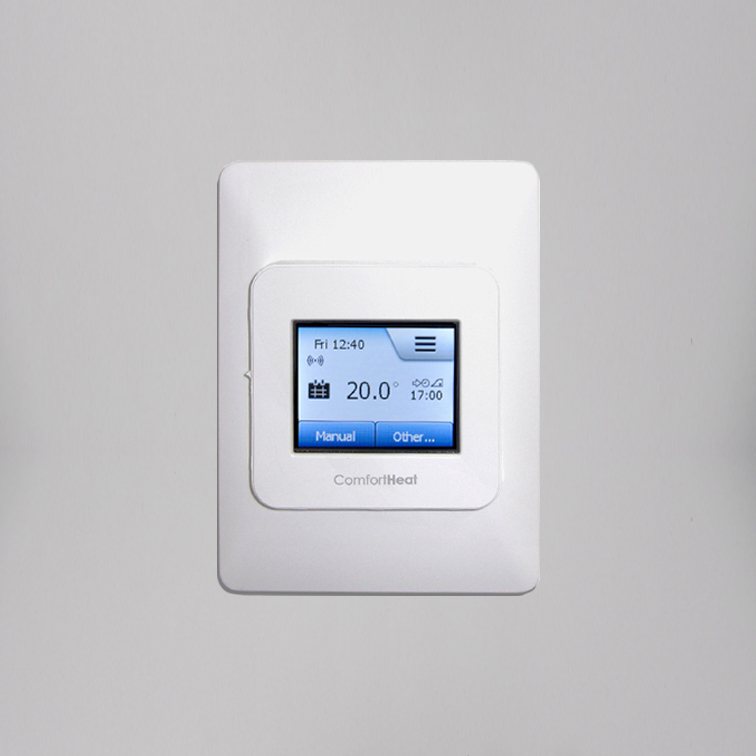 The MWD5 WiFi thermostat allows you to remotely control your floor heating from any location, giving total comfort control. The touch screen thermostat has a built in programmable time-clock that automatically turns your floor heating temperature up and down at your programmed times. The MWD5 requires a WiFi connection with internet access for remote control.